Brian Sikes Roofing, a third-generation roofer serving Seminole, Orange and Volusia counties, urges homeowners of the importance of properly maintaining their home’s roof, prolonging its life, and preserving your valuable investment. When the time does come to replace your home’s roof Brian Sikes Roofing will be there to assist you in determining the best roof solution for your home and budget. As with any major investment, proper care and maintenance of your roof can go a long way to extending its life and potentially saving you from unnecessary or costly expenses. Many of the things you can do to insure your roof doesn’t become a source of expensive repairs involve simple inspection and will not take a lot of your time. Brian Sikes Roofing stresses that your safety always comes first, so if for any reason you feel that you are incapable of performing any of these suggested precautions, Brian Sikes Roofing is available at your convenience to conduct a thorough and professional roof inspection. Having your roof inspected is strongly recommend at least every two years or after any major weather event. Inspect your Shingles – Inspecting your shingle for signs of curling or damage is possible without the need to climb a ladder. This can often be done just by walking around your home. 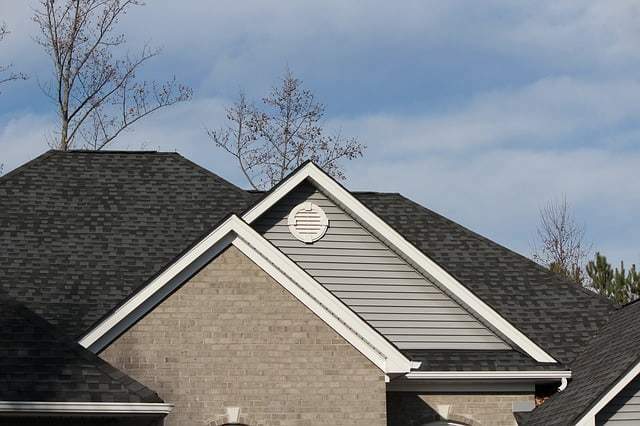 Note any areas where shingles are missing or have begun to show signs of excessive wear, deterioration, or curling. A small number of shingles can usually be replaced at minimal expense by a homeowner or Brian Sikes Roofing or any competent roofer can assist. Algae and Erosion- Florida’s climate is a breeding ground for algae and fungus. Besides being unattractive due to discoloring of your shingles, algae and fungus can erode the integrity of your shingles. If your roof has large trees hanging over it creates large shaded areas, this can be even more prevalent. The solution is to have your roof cleaned periodically with a chemical wash that will rid your roof of algae but not harm your shingles. Products to accomplish this are available at any hardware store. For some this can be a DIY project but if you feel you’re not up to it, there are many companies in the area that specialize in roof cleaning. Trimming Trees and Branches– It’s always a good idea to keep trees or overhanging branches away from your roof. These can cause broken branches, sticks, and excessive amounts of leaves to build up on your roof, especially where they get trapped in corners and around guttering. Branches that overhang or touch your roof also provide easy access to unwanted “critters” that can make their way in to your attic creating more havoc. Keeping your Gutters Clean– Clean gutters are essential to the long life of your roof. It may sound like a simple thing, but it is important. Excessive debris in your gutters create unwanted weight, especially when moisture is added to the equation. This can cause the gutter to separate from the roof and water and moisture can seep in and cause damage. Most gutters can be cleaned by the homeowner with just an extension ladder. If you choose to do this yourself exercise caution. Should you notice a large amount of shingle granules or grit in the gutters, this is a sign your shingles are nearing their useful life and you may need to replace them. Seals and Flashing – Lastly, check the areas around your seals and flashing. These would be the areas around chimneys, skylights, vents or solar tubes. Often this can be accomplished from a distance. If you don’t feel up to the task, give us a call and we’ll schedule a time to come an inspect these areas as well as your entire roof system.